Sometimes, the candles on your birthday cake can either make or break the entire atmosphere. 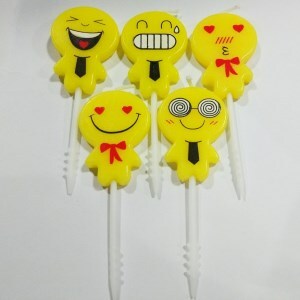 While many adults fail to be impressed by innovative designs, children still like their candles colorful and cheerful. Of course, you can always go for the traditional thin and white candles that have been used for centuries. But what would be the fun in that? Check out some of the products that we have selected below. They’re fun, unique, and creative, and can definitely take your birthday party to a whole new level. This set of birthday candles is perfect for little children or people who do not want to share their current age with the rest of the party attendants. The set consists of five birthday candles shaped in different designs, including emojis, bears, elephants, mushroom, dinosaurs, chicks, fish, rabbit, bus, and many others more. 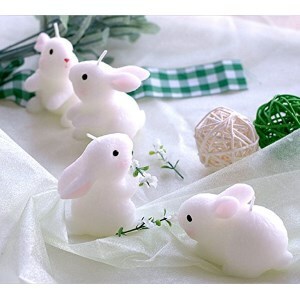 Each of the cutely-shaped candles measures 2 inches tall and is made from real wax. The emoji candles represent the perfect twist for a funny cake or a nice birthday surprise. They are easy to introduce in cupcakes, desserts, and even cookies. If you want to offer a birthday cake with a twist, we suggest choosing unusual designs for the candles, instead of the regular shapes. 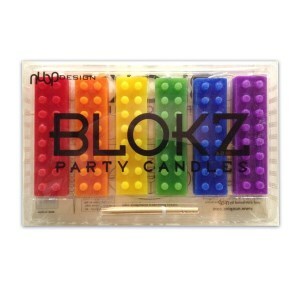 If your child is into Legos, bricks or you simply have a fellow constructor or architect, we advise you to purchase this set of brick-shaped candles. The set consists of six block bricks of different colors- red, orange, yellow, green, blue, and purple. The candles are approximately 3 inches tall and 0.5 inches thick and will make a great addition to any birthday, celebration or party gift. Each candle comes with a hole in the bottom where you can insert the included toothpicks to be able to put them into cakes. If your kid is passionate about the outer space or galaxies and everything with spaceships included, why not throw an entire themed birthday party? If you want to follow the theme into the slightest details, you can also choose some special birthday candles. 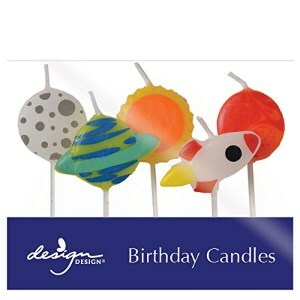 This set includes five differently-shaped candles – three planets, one sun, and one spaceship. The set is ideal for all space lovers or themed parties of any kind. Each candle is made from real wax and is approximately 1 inch long and ¾ inches thick, and come with integrated toothpicks to easily put them in cakes, cupcakes, and other desserts. 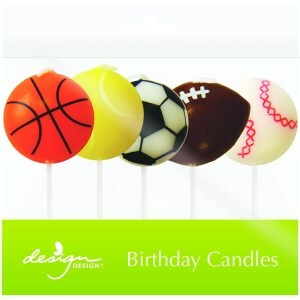 If your boyfriend or child is into sports, there is no bigger surprise than to throw them a surprise themed party. If you really want to go into details, you can also opt for a cool set of sports candles to match his interest in his favorite sport. The set we are referring to consists of 5 different candles, all ball-shaped. All his favorite sports – basketball, tennis, football, baseball, and soccer in one set is what will make every party pop. The product is suitable for all sorts of parties, from birthday parties to job celebrations, and anything that is related to the world of sports and its players. What better way to end a baby shower if not through a huge cake to celebrate the happy event? 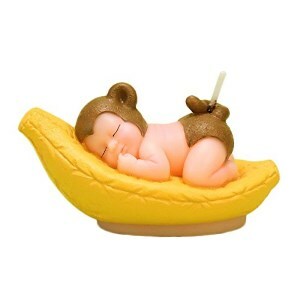 And, if you wish to make things even more adorable, why not choose this adorable mini monkey on banana boat candle? The product can be conveniently placed on any type of cake, muffin, dessert, and even cookie. It is made from high-quality eco-friendly and food-safe wax, which will make it the perfect addition to any cake. The cake topper also comes with an attached greeting card where you can write down your thoughts about the baby shower, the baptize party or any other baby occasion. If you are fascinated by the animal world and cannot conceive the universe without the ridiculously cute rabbits, you need to take your affection to a whole new level. No matter if you are preparing for a baby shower or a regular birthday party, you will definitely make a good impression with the cake topping set of 4 lucky rabbit candles. Each of the candles is packed individually and is made from top-quality, food-safe smokeless wax. Attached to the transparent gift box with a ribbon you will also receive a greeting card where you can write down your thoughts and best wishes for the special occasion. When someone’s birthday is coming up, we usually pay attention to the cake we have to choose and gifts we have to make. Then we suddenly realize we have to hurry up and find some cool cake candles that would match the occasion and please the person who needs a bit of a celebration. If you, too, think that cake candles are important and you want to get them right away, you’re in a bit of trouble. There are so many types of cake candles for sale that it’s hard to tell whether you’ll be able to buy what you wish for in short notice. There are plenty of things to consider, and you’re the only one who can make a decision. Among others, the purchase will be different depending on whether the person is a small boy or a girl, an elderly lady or a man. Since you don’t have time to look at all the offers and find out what you’re really after, we can provide you with the guidance you need. The lines below make a comprehensive guide that will make it easy for you to decide in a short amount time, the sparing you the hard work. Unlike other products, these items are so varied that you could think they’re all from different categories. 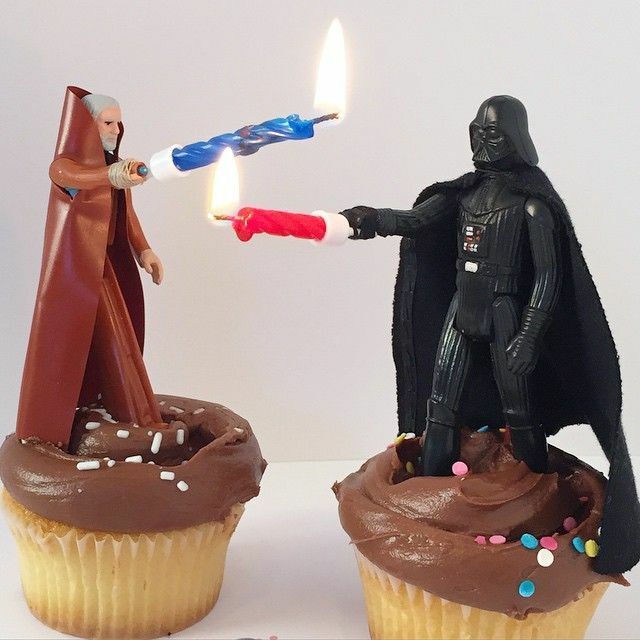 But we sorted them out, and it’s your turn to decide what the coolest birthday candles are. Most of the cake candles on the market are manufactured and sold by the pack. They come in various shapes and sizes, and also have different colors and ornaments. Some of them are worthy of attention more than others. You’ll find gold and silver candles, for when you want a shiny celebration cake. Or you can choose black and white, for those who think the 20s were great or value the yin and yang principle in life. For a joyful decoration, choose polka dots, and get a rainbow pack of cake candles for those who think diversity is worth celebrating. Typical birthday cakes have candles with the numbers of years on them or use letters to write happy wishes and the name on top (hopefully, it’s the right name). But if you think it can get playful, choose Roman numbers instead and confuse the participants. Some candles are designed to be special. If you pick a cool birthday candle flower, the birthday girl will certainly notice. The design offers rotating moves, music, and candles at the same time, in the guise of a flower. Other cake candles use color flame, offering a small show of light as they burn out in different hues. Toothpick candles, spiral coils and blinged out cake candles are other options, but gesture candles are perhaps more impressive. They represent a hand gesture with some particular significance. If you didn’t like the options, then you can gather your strength and try to make candles at home. You can also find them for sale at people who enjoy DIY-ing and crafts. Some of the cool birthday cake candles that are handmade include beeswax candles, fruit candles, butterflies and ladybugs and variously shaped cake candles. Beeswax candles are some of the most uncomplicated and yet charming cake candles. To make the artifact more attractive for kids, the artisan places small antennas on the standard candle and adds wings or dots, thus transforming it into a butterfly or ladybug. Shaped candles are great because, with the use of talent and imagination, the wax can be molded into fruits and vegetables, small emoticons and stylized objects. They’re not very intricate, but they bear the mark of originality. 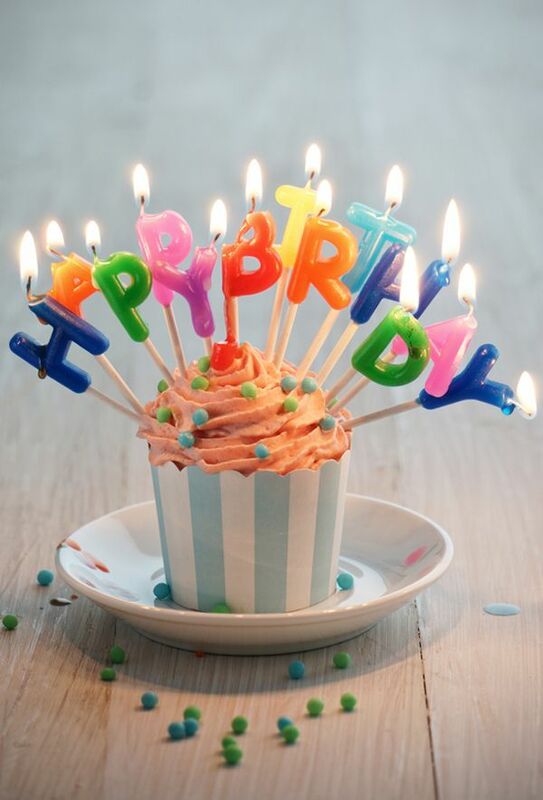 If you need something in tone with the party and replicating the style of the person who celebrates their birthday, themed cake candles might be just the thing. Candles that are customized according to the party stand a greater chance of making an impression. It’s hard to find candles for every possible theme, but there are some themes which are well represented. It’s easier, for instance, to find products that are sports-related. That’s why it’s more likely to find some football, soccer, and basketball candles. You could be in trouble if you have to procure chess candles, though. Other themes that would have assorted cake candles would be the those with a reference to cute animals, comics or well-known cartoons. Although related to the themed cake candles, these have a distinguishing feature. They actually picture characters that are familiar to the birthday girl or boy. The more beloved a character is, the more joyful the surprise. Comics superheroes or Star Wars fighters could make the birthday party popular and incredibly cheerful. But this sort of candles is not always easy to get. You often have to order them in advance. Furthermore, the cake should be a match, to make things complete. The themed and character candles are much more popular when the celebrated person is a young fan of the fictional world. But you could show ingenuity and use such ideas when the person is a dedicated professional, and you can use images related to his or her activity as main themes or characters. It’s hard to say any of the above are the best cake candles. As you could notice, the difference between all of the choices was made by the taste and style of the individual that needs celebrating, as well as his/her age and gender. A blinged out candle may be great for a young teen, but a middle-aged insurance agent wouldn’t be just as happy with that choice. You should also consider candles for children, some of which are shaped like bugs, animals, and cartoon characters. A candle flower, on the other hand, is a great choice for the celebration of ladies of all ages. Select themed candles for the kids and choose the long, elegant and sober ones for an elderly grandmother. Adjusting your options to the party and the individual is another thing that makes cake candles cool.